At Happy Dental Group, we are proud to be your home for family dentistry in Montclair, CA. We work with all members of your family and develop long-term relationship with our patients; you become part of our family as well. Dr. Hong and his team treat patients as young as one year of age, and can also expertly care for dental issues that affect the most senior of your family members. Your child’s first dental appointment will consist of a visual exam, where Dr. Hong will count their teeth, show them how to brush and floss, and send them on their way with a new toothbrush and even a sticker. It’s important that our young patients have happy first visits, so they feel comfortable visiting our family dental office for treatment when they’re older. 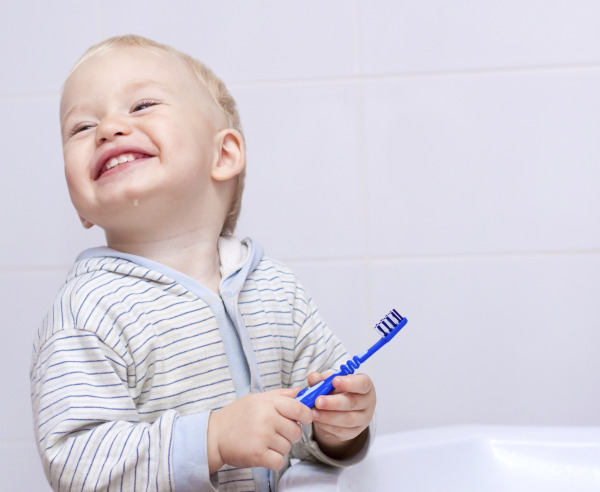 Our goal is to help your child have healthy teeth for life. However, if they do develop tooth decay, we can treat their baby teeth to protect the health of their permanent teeth. Gum disease and tooth decay are common problems in adult dental patients, and can be caused by poor oral health habits or even genetics. We prevent the effects of decay and disease by scheduling twice-yearly dental cleanings for patients, and educating them on the best ways to care for their teeth at home. If you are demonstrating signs of gum disease (chronic bad breath or puffy and bleeding gums) we can help. Our Montclair family dental office restores the health of soft tissue by treating gum disease with deep cleanings and antibiotic solution. 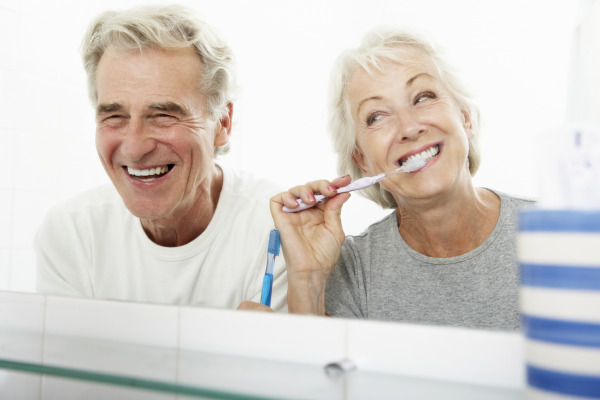 While more dental patients are keeping their teeth into their later years, tooth loss is still a real oral health problem that affects senior patients. If a member of your family is missing one or more teeth, Dr. Hong offers full dentures, partial dentures, and even dental implants. For our denture patients, we perform multiple fittings to get an ideal fit; we have a dental technician visit our office to assist in denture creation. Our family dentist helps patients get exactly what they need, so their smiles look like what they imagined. Dr. Hong can even extract teeth and give patients immediate dentures to use while their new dentures are being made – so you can leave our office with a complete smile. Talk to a Montclair Family Dentist – Contact Us Today! We serve all members of your family to caring, comprehensive dentistry. No matter what your needs may be, from gum disease treatment, to root canals or full dentures – our team can help. Contact Happy Dental Group today to set up your family dental appointment with Dr. Hong.